Our team is building Fulfillment Centers with millions of possibilities (and Sq FT)! 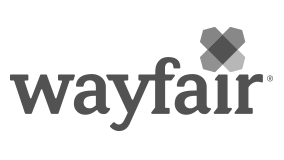 We are looking for an analytical, strategically-minded Senior Analyst to drive critical projects that promote efficiency of Wayfair’s major supply chain and operations initiatives. The right candidate has a passion for breaking down complex business problems into discrete analyses and using data to make informed business decisions and communicate findings to senior leaders. As a central member of the team, you will provide real time financial visibility to leadership in order to make better operational decisions as we scale the Fulfillment network. The Strategic Operational Finance organization sits between the Operations and Finance departments to help drive the strategy of critical operations initiatives across all Wayfair geographies (EU, US) and brands (Wayfair, All Modern, Joss and Main, Dwell Studios, Birch Lane, and CastleGate Fulfillment).